Waterwork Company is offering a limited time deal on their Chlor-A-Soft Water softener & Reverse Osmosis Water Filtration System. $1,124.99 + Tax (installation included) Please see the features listed below. Personally I have used this system in my home with great results. If you check my previous post, you can see I bought mine for $1,240, so at $1,124.99 it really is an amazing deal. If you have any non-technical questions about the system, you can always call me to discuss. For all technical questions please give Waterwork Company a Call. I always go the extra mile for my clients. I help my clients buy and sell their homes but it’s more than that. It’s about a better living and a lifestyle. Looking for the best and trustworthy set of preferred vendors is my way of saying thanks and giving back to my clients or future clients. 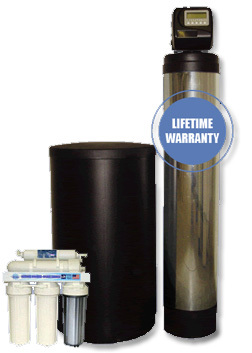 A combination system that provides water softening, chlorine and chemical removal. Program once and relax – all you need is water softening salt! pH Alkalinity Neutralizer Filtration to raise pH neutral and eliminate acidity. 10 micron Carbon Block Filtration to eliminate chlorine, THM’s and taste and odour. Copper and lead and many others. Categories: Preferred Venders | Tags: best deal on water softeners toronto, chlor-a-soft water softeners, discounts on water softeners, german mills homes for sale, Kirby Chan vender specials, RO water filtration system, toronto water softener deal, watersoftener coupon code, waterwork company | Permalink.